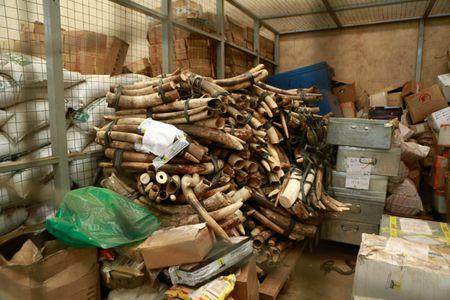 KAMPALA (Reuters) - Uganda seized a contraband shipment of ivory and pangolin scales it said was the largest the country had ever taken, with a market value estimated at more than $8 million. 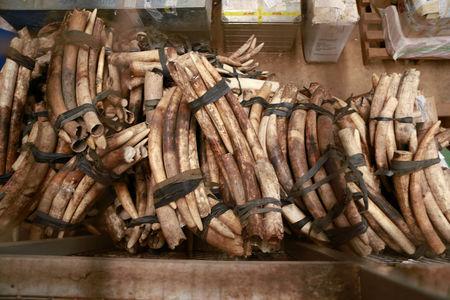 "In one container alone, we have found 762 pieces of ivory and 423 kilogrammes of pangolin scales," Seruma said. "We are still investigating to find more culprits." "It is our biggest-ever such seizure in one go," he said.